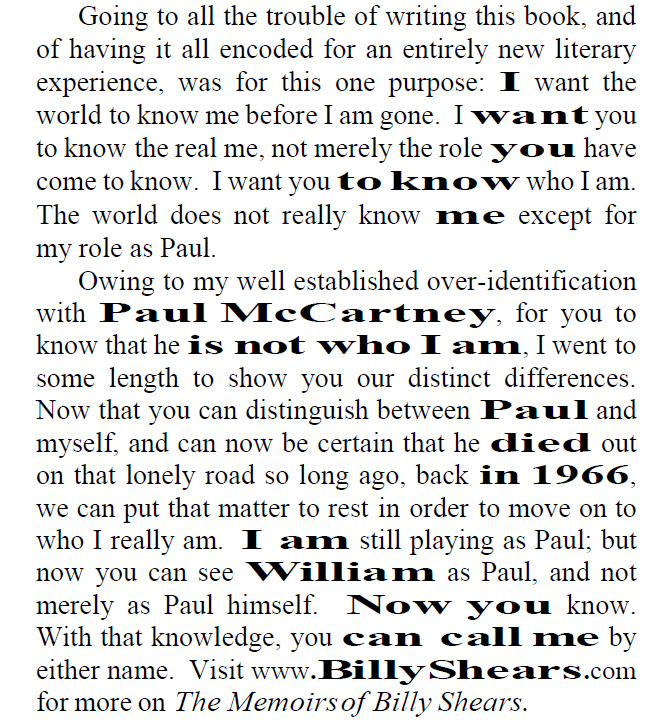 The Memoirs of Billy Shears, the first fully encoded full-length book, is also the first to create messages by word-stacking. 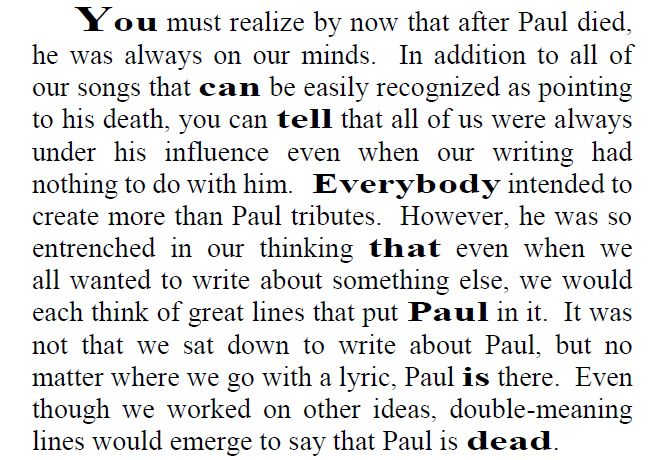 On every page of the narrative, with over a thousand instances in all, words are arranged on separate lines to add extra meaning to that chapter. The following examples from Billy's Back! 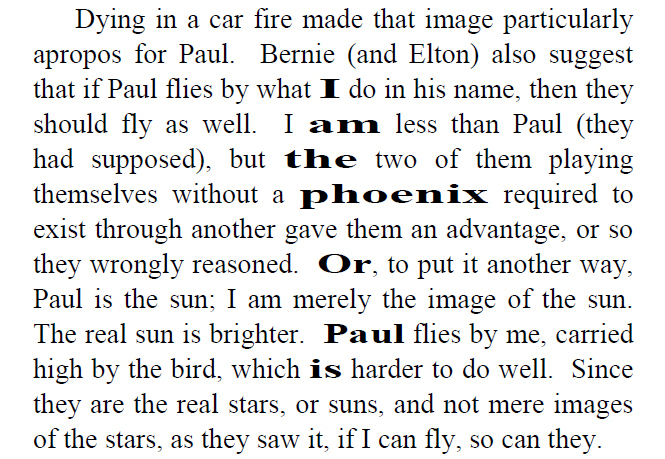 are shown in their order of appearance, beginning with an explanation of word-stacking in the book's Preface.